The mission of the Northeast Neighborhood Association (NENA) is to work to make our neighborhood a secure, attractive, and strong community. We strive to enhance safety and to sponsor beautification efforts to improve the appearance of our neighborhood. The Association engages in partnerships with community residents and families, city government officials and departments, and non-governmental agencies and institutions to revitalize our neighborhood and to address the needs of the residents of the community. 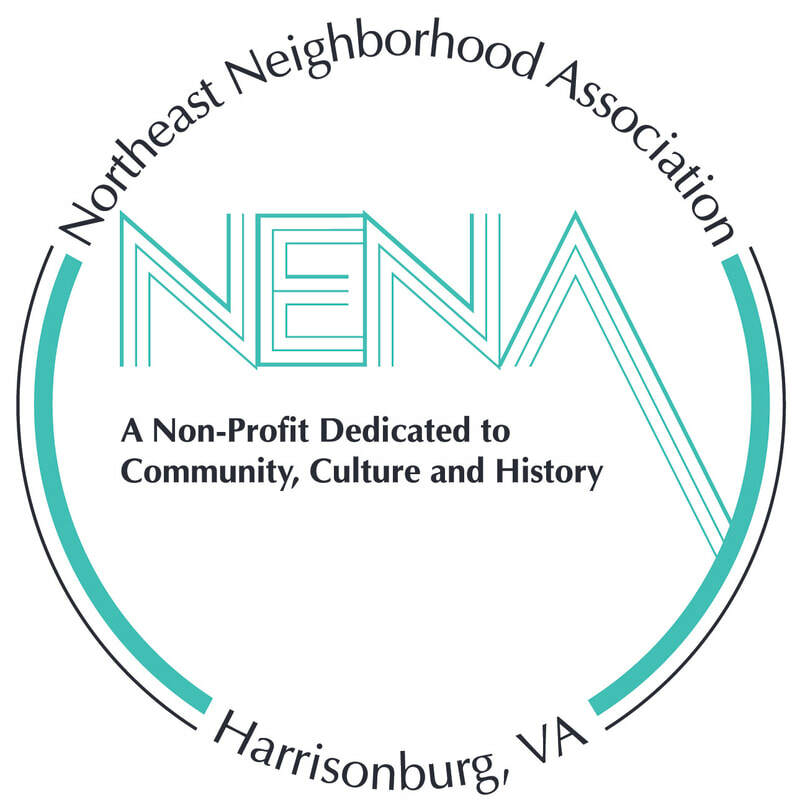 The Northeast Neighborhood Association leads African-American historical preservation and cultural heritage projects in Harrisonburg, Virginia. Our community is located in the beautiful Shenandoah Valley of Virginia. 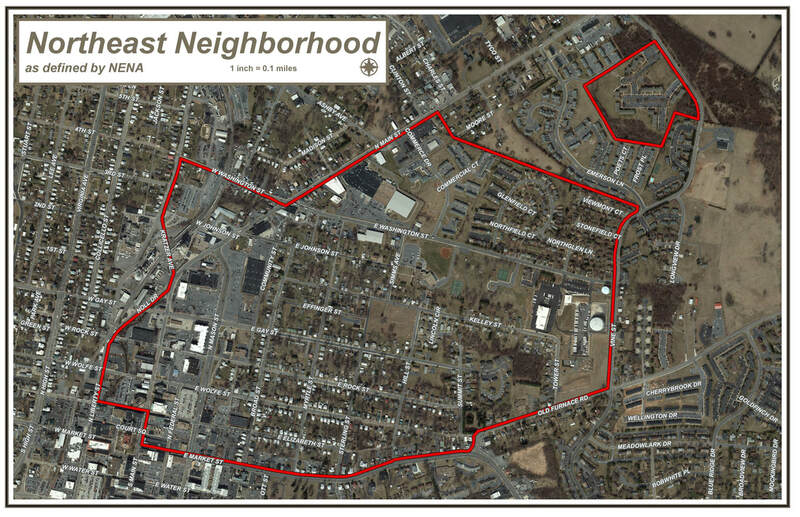 Our neighborhood is a short walk from downtown Harrisonburg. See a map of our neighborhood below. The Northeast Neighborhood Association (NENA) holds monthly meetings at the Lucy F. Simms Continuing Education Center at 7:00PM on the third (3rd) Thursday of each month. Everyone is welcome to attend. Contact us at: hburgnena@gmail.com. Click on the Donate Now button below to see more about donations.